Wind Chime The slightest breeze creates beautiful tones and harmonies from one of the world's most beloved melodies. 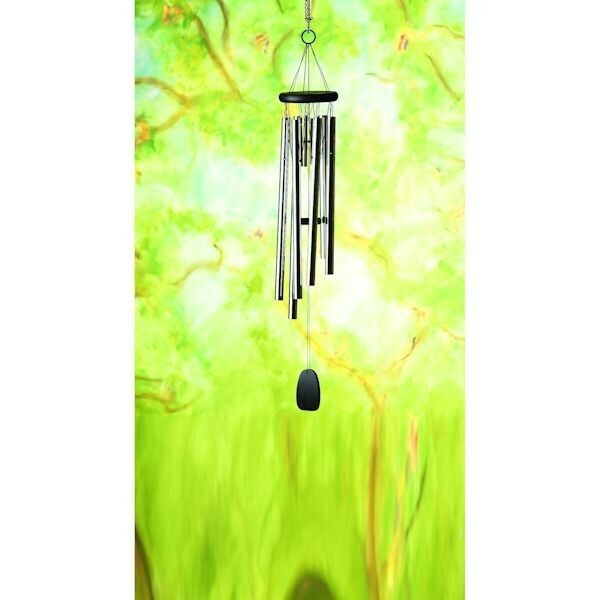 Handmade chime has six hand-tuned tubular bells and four solid bells. The tubular bells are tuned to the notes D, F#, G, A, B, D. An enchanting garden accent. 5" diameter, 24" long.